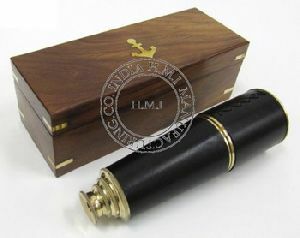 Finishing : Antique Brass Polish With Red Leather Sheathed﻿﻿. 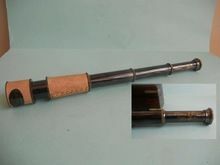 Size : 18 inch Long. 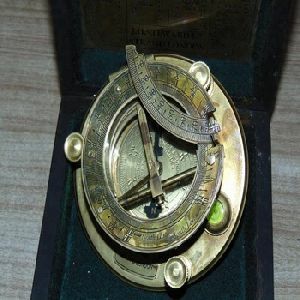 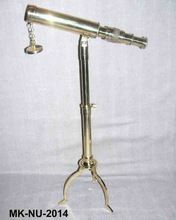 Size : 6 inches, 15.24 cm approx. 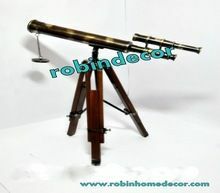 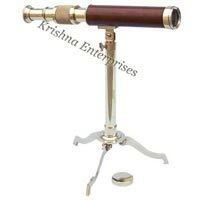 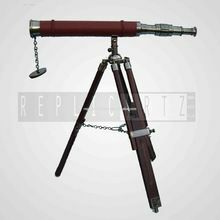 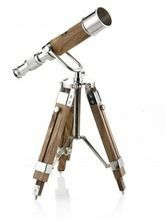 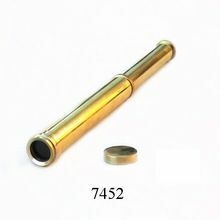 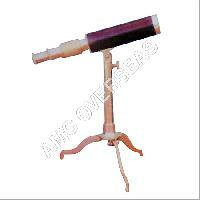 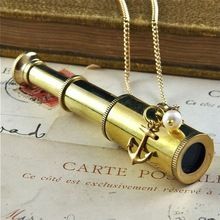 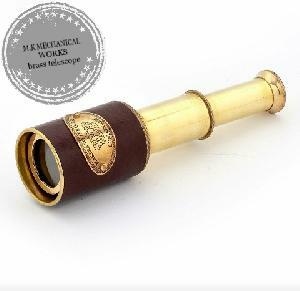 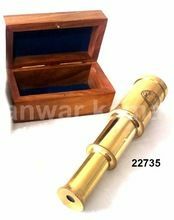 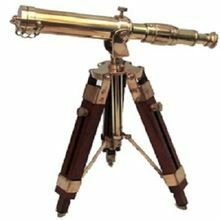 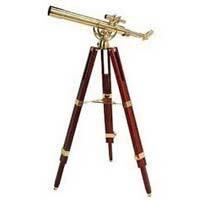 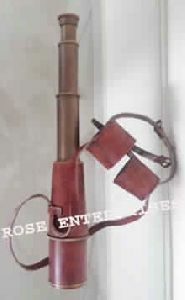 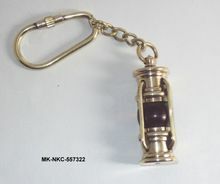 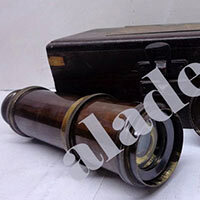 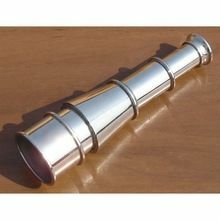 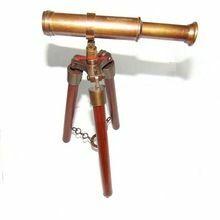 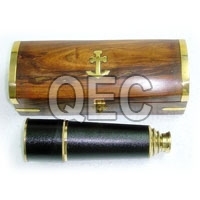 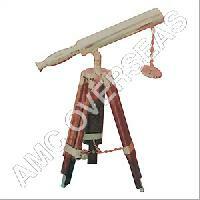 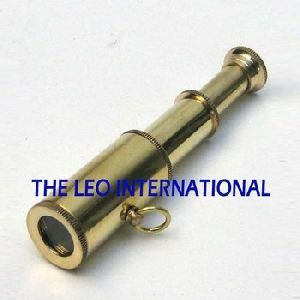 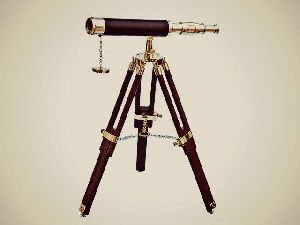 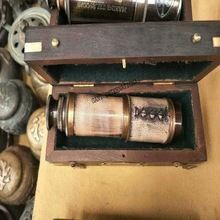 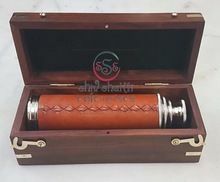 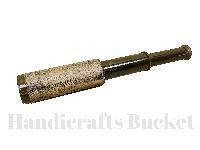 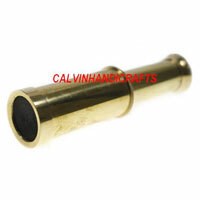 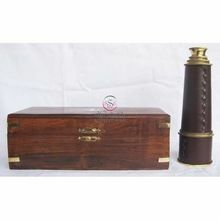 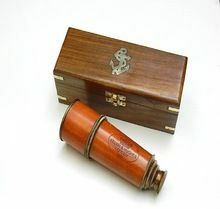 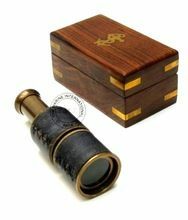 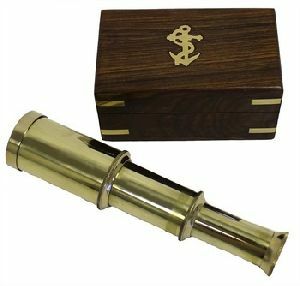 We are offering handicrafts bucket fully functional brass telescope. 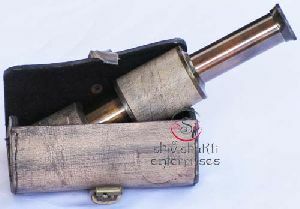 Packaging Details : As per customer requirement / Export Packing.